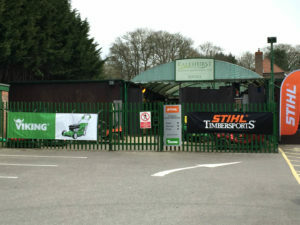 Kalehurst Garden Machinery is a family-owned business based in Hermitage, near Newbury in Berkshire. 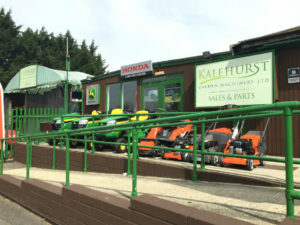 Kalehurst is a one-stop dealership for domestic garden machinery with a full service, repair and parts shop, not to mention the largest showroom in the area. 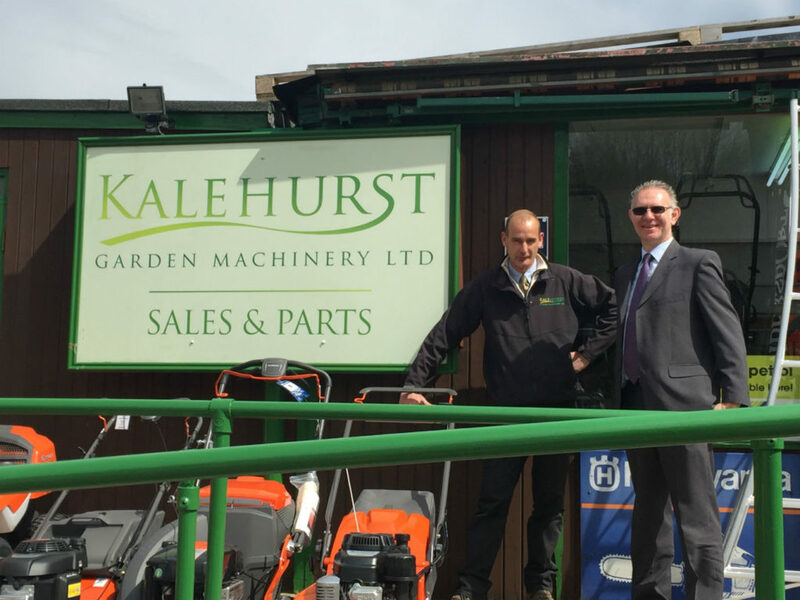 Over the years, Kalehurst has experienced remarkable growth as a result of effective cash flow management and a dynamic, forward-looking business ethos. We had a chat with Kalehurst MD, Neil Taylor, who told us a little about the company’s history and how Ibcos Gold has been instrumental in its growth. Can you tell me a little about the history of the business and how you came to be involved? Neil: “My father started the business 37 years ago. Eventually he reached a point where he was either going to effectively close it down or sell it off, and I just thought it was an opportunity I couldn’t refuse, so I bought it off him. My dad was less sales-oriented and more into the mechanical side of the business, so a lot of his focus had been on managing the workshop. When he went into retirement though, I learned how to run the business myself and I focused heavily on sales. How does having the largest showroom in the area help you provide the best customer experience? Neil: “These days, customers can purchase just about anything online. The problem with this is that you really don’t know exactly what you’re getting and you can’t really tell anything about a company just by looking at their website. You certainly can’t tell if they’ve got what you need in stock. 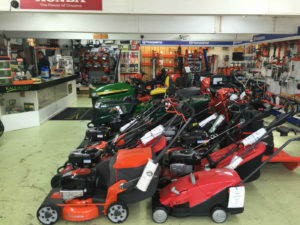 The question people have always asked us most is ‘do you have this machine in stock?’ and because we have the largest showroom in the area, the answer is always ‘yes’. What most impresses customers after they’ve made a purchase? Neil: “I’m going to give you an old-fashioned answer: good service. The minute you walk into our showroom, my wife Jill greets you with a big, beaming and genuine smile. She has a fantastic memory and never forgets a customer’s name or what they’ve purchased in the past. What type of dealership management system were you using before Gold? And what type of challenges were you experiencing with that system? How did you hear about Ibcos and which other vendors did you consider? Neil: “In the past, we didn’t have the time to sit down and do the figures, so we went on instinct. As I saw it, I needed help with the management side of things, and with the end of year accounts; I wanted to press a button at the end of each month and see exactly where we were. How has Gold helped you provide your customers with a competitive service? Neil: “Twenty years ago, everything was slower and with no competition from the internet, it was actually a lot easier. People didn’t know where else to go, so even if they got bad service, they’d still return to that same dealer. Now, unless you give customers really good service, they go online, search all the dealers in the area and take their business to a competitor. It was a much simpler time back then. Now you have to do far more for less and you spend a lot more time managing your business and serving customers. What was your experience with the Ibcos implementation team? Neil: The Ibcos team came to install Gold at our location and the implementation was both flawless and relatively fast. What results have you seen since you implemented Gold software? Gold has given me the security in knowing exactly where we are. It’s very reassuring. Since turnover is every three months, it’s critical for cash flow purposes that you know where you are at certain times of the year, and Gold helps me do that. In fact, I wouldn’t be able to do that at all without Gold. In general, would you say that Gold has improved the way you run your business? If so, how? Neil Taylor, Company Director at Kalehurst, with Jon Fulcher, Sales Director of Ibcos Computers.